Have you been wanting to give up your morning coffee, but just can’t seem to find a decent replacement for that essential jumpstart? You may be comforted to hear that you are definitely not alone. In fact, it is claimed that about 83% of adults in America are coffee drinkers. It’s really no surprise with its tempting aroma, its unique taste and of course its ability to create physical energy and mental alertness almost instantly. Unfortunately, many studies have shown the long list of negative effects that regular use of this substance will bring. According to Ayurveda, coffee and caffeine alike are tri-doshically provoking, meaning that no matter your body type, caffeine will cause imbalance overtime (in some folks quicker than others). Although socially accepted, caffeine is indeed an addictive drug that has been shown to alter your brain’s chemistry with longterm use. It increases the level of dopamine (the feel good neurotransmitter), inhibits the absorption of adenosine (the sleep-inducing neurotransmitter) and triggers the secretion of adrenaline (the fight or flight stress hormone). For all of these reasons, many individuals are drawn to their morning coffee, eventually relying on it for their daily focus and energy. After taking in caffeine routinely overtime, it creates a physical and mental dependency, leaving you extremely tired, foggy-headed and in a foul mood if you do not give in to this daily habit. Individuals that have a stronger addiction may also face more severe symptoms such as headaches, body aches, nausea and other flu-like symptoms if they go too long without some sort of caffeine. Many individuals are aware of the negative effects of caffeine, yet they are not overly excited to give up their habit, mostly because we could all use a bit of a kickstart to get the day going. Fortunately, there are plenty of herbal options to get the energy flowing, without the nasty side effects or dependency that caffeine creates. In fact, many of these stimulating herbs are not just used to increase energy in the system, they also possess countless additional heath benefits such as increasing strength in the body, boosting the libido (vajikarana), stimulating the digestion (dipan), rejuvenating the tissues (rasayana), reducing inflammation (shotahara), healing the nervous system and awakening a sluggish mind (medhya). If you have been taking in caffeine consistently for a while, the transition off of this substance may not be entirely smooth. As I mentioned, caffeine is highly addictive and therefore it creates withdrawal effects once you begin to reduce or eliminate caffeine from your routine. Luckily these symptoms can be reduced by taking these energizing herbs listed, and eventually will pass over completely within a couple days to a couple weeks depending on the severity of the caffeine dependency. I highly suggest beginning to take these herbs during your transition off of caffeine to allow some relief at this time. Once you get over the hump of the withdrawal, continue to take the herbs listed each morning and throughout the day for a boost in energy and much, much more! **Important Note: Not every herb will be beneficial for every-body. Please take note at the “doshic quality” listed for each herb, as this can give you an idea for which herbs will be the most beneficial for you. If you do not know your dosha type, please take our Discover your Dosha Quiz! Ginger is quite possibly one of the most commonly used herbs in Ayurvedic medicine, as it possesses such a vast variety of health benefits. 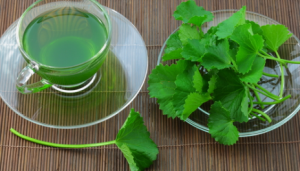 We all know that this herb is an unbeatable digestive aid, but just as it stimulates our digestive fire, it also stimulates blood flow creating more energy and alertness. Taking the ginger in strong dosages undoubtably will give you that desired jumpstart each morning whether you make a potent ginger tea, drink some ginger juice (yowza! ), or down a thin slice of the fresh root. Making ginger a part of your morning routine will be equally beneficial for promoting morning elimination, healthy digestion and a strong metabolism, all of which are essential for long-lasting sustainable energy. Other health benefits include alleviating inflammation, promoting weight loss, reducing gas and bloating, removing congestion, and detoxifying the system (to name a few…). 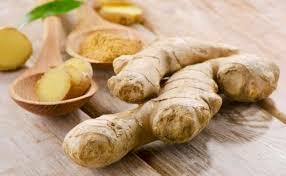 Read a full list of ginger’s health benefits and uses here! Try our Agni Elixir, made with hand-pressed, organic ginger juice! While this is heating up, peel (optional) and grate the ginger using a fine grater is available. It is not recommended to simply slice the ginger, as this will not extract enough juice and the decoction will be less potent. Once boiling reduce the heat to a simmer and add in the grated ginger. Cover the pot leaving only a small crack for steam to escape. 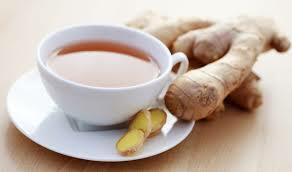 On this low heat, boil down the tea until only about 1.5 cups of the ginger tea is remaining. This can take 30 minutes or longer, but remember the longer you steep, the more potent the brew! Strain out the ginger using a fine mesh strainer, paper towel or cheese cloth. Once the infusion cools to a drinkable temperature (under 110 degrees), add in 1 tsp of honey per cup of tea (optional). Never heat honey over 110 degrees! Take one cup of this tea first thing in the morning before food intake. Take another cup around 2-3pm or anytime an energy boost is needed. Reheat the tea as needed. Feel free to make a large batch by multiplying the recipe. The tea will stay potent in an air tight jar in the refrigerator for up to 3 days. When reheating, make sure you only reheat the amount needed at that time, to avoid reheating the tea more than once. Ashwagandha is an incomparable tonic to the mind and body alike. It is known as a rejuvenative (Rasayana) herb as it increases energy, strength, muscle mass, libido, vitality and immunity (Ojas). It is considered an adaptogen and nervine, as it calms the mind, strengthens the nervous system and reduces stress levels. A unique quality or Prabav that Ashwagandha possesses is its ability to increase energy in the body and mind during the day, but when taken at night (say in warm milk), it is equally as great for inducing a sound sleep. Amazing! Read a full list of Ashwagandha’s health benefits and uses here! Try our Mind Tonic Tincture! Place the three ingredients listed in a small dish. Mix the ingredients until they are evenly blended. This should make a thick paste. Take this first thing in the morning on an empty stomach. A second dose can be taken between 2-3 pm. Rinse down with a cup of plain warm water. Alternatively, these ingredients can be mixed in a small cup of warm water and taken as a tea if preferred. Bala is the Sanskrit word for strength, and not surprisingly, this adaptogenic and rejuvenative (Rasayana) herb is taken to bring energy and strength to the body. Containing a small dose of natural amphetamine, this herb is an effective stimulant; however, it is still gentle enough to take during pregnancy (in small dosages) and during Vata disorders. 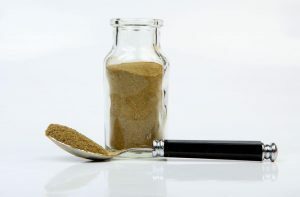 In fact, although this herb is undoubtably energizing, it is regularly used to treat nervous system disorders as well. 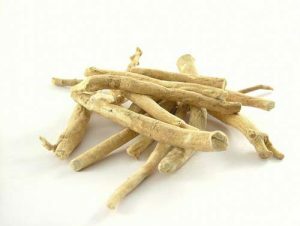 Similar to Ashwagandha, Bala is a powerful herb for increasing the libido and sexual potency. To increase energy, strength and muscle mass, Bala is best taken internally as a medicated ghee (such as the Rasayana Ghrita), or made as a milk decoction (Kwath). One can also use a Bala infused medicated oil such as the Vata Oil, to apply to the body before the shower each morning. Read a full list of Bala’s health benefits and uses here! 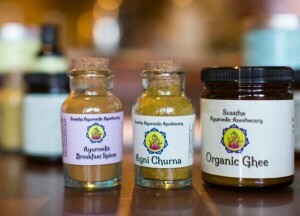 Try our Rasayana Ghrita (Rejuvenation Ghee)! Bring 1/2 cup of whole milk and 1 cup of water to a boil. Reduce the heat to a simmer and add 1/2 tsp of Bala, a pinch of ginger and 1/2 tsp of organic turbinado sugar. Simmer uncovered until the liquid has boiled down to about 1 cup. Drink this each morning upon awakening. NOTE: This recipe is not recommended if there is excessive Kapha or toxins in the system. Brahmi is another essential herb for increasing energy, however, this particular herb is more specific for promoting mental alertness, clarity, focus and concentration. This mind-boosting herb possesses many unique properties such as stimulating the intellect, increasing memory and balancing the emotions (i.e. anxiety, anger, depression). It is also considered a Rasayana or rejuvenative herb, however, with a strict target directly on the nervous system (hence it rejuvenates the mind and nervous system). Taking this oh-so-sattvic (balancing) herb regularly will not only be sure to promote mental energy, it can even be paired with more physically energizing herbs such as Ashwagandha or Bala to receive a well-rounded morning dose of mind and body stimulation. Read a full list of Brahmi’s health benefits and uses here! Try our OM Shanti Tea! Boil one cup of filtered water. Take off of heat and add in the Brahmi powder, ghee (or recommended Kapha replacements) and Ashwagandha (if applicable). Stir well. Let steep here for 5 minutes or until it becomes a drinkable temperature. Pour in a cup and drink. Do not strain! Drink this every morning upon awakening and again at 2-3pm if an energy boost is needed. Shilajit has been translated as the “rock invincible” or “rock overpowering”. It is suggestively known as the “destroyer of weakness” and the “conqueror of mountains”. Shilajit, not actually an herb but a tar-like ooze that stems from aged and composted herb matter, is naturally rich in over 85 essential minerals and antioxidants alike. These nutrients are responsible for the incomparable anti-aging, energy enhancing and cellular rejuvenating properties that Shilajit possesses. This unique Ayurvedic stimulant, can be taken 1 to 3 times daily, and is commonly mixed in warm milk, with honey and ghee or simply steeped in warm water. Since Shilajit can be very hot by nature, it is often not recommended for Pitta types as it can increase heat and acidity in the system. Read a full list of Shilajit’s health benefits and uses here! Place the ingredients listed in a small dish. Take this first thing in the morning directly before breakfast. If needed this can be taken again around 2-3 for a mid-day pick-me-up. Rinse this down with a cup of plain warm water. 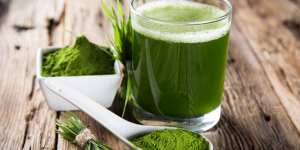 Although not Ayurvedic by nature, Spirulina is undoubtably an energizing herb (actually algae) and is a great replacement for your morning caffeine. 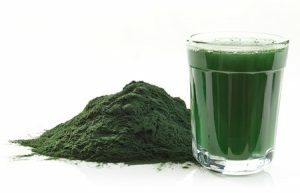 This bright green powder gets its stimulating properties though the high amounts of vitamins (especially vitamin Bs), minerals and antioxidants that is possesses. It is often added in smoothies, however, it tends to be more potent if you are able to simply mix it in warm water and drink it straight up. This allows for better absorption and reduces the heaviness that smoothies can often bring (sorry smoothie lovers!). My absolute favorite way to take my daily dose of Spirulina is in our Svastha Super Greens, as this blend (which also contains Brahmi as a main ingredient) has a much milder taste and is easy to get down. I actually take 1-2 tsp of the Super Greens each morning as an Ayurvedic “pre-workout drink” before my daily gym or yoga session and it definitely does the trick! 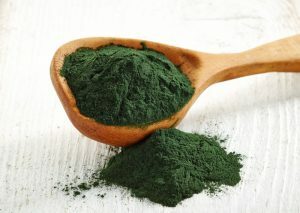 Since Spirulina can increase the Air and Space element (aka Vata) in the body, it is often recommended to take it with small amounts of warming, digestive herbs to help with the digestion and absorption of this green powder (another reason to take the Super Greens!). Try our Svastha Super Greens! Place 1 cup of slightly warm water in ball jar. Place the cap on the ball jar, ensuring that it is completely air tight. This is extremely important to avoid a very large mess! Once the lid is properly placed, shake the jar for about 1 minute vigorously. I often do this over the sink, just in case! Drink this blend each morning upon awakening. This can be taken again 1-2 times though out the day in times of a needed energy boost. As mentioned before this can be a great replacement to not just coffee, but as a “pre-workout” drink as well. My energy level has doubled since being in to see you and I haven’t had a drop of caffeine! Thank Josiah! I am so happy to hear:) Keep up the great work! 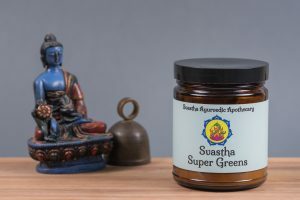 Is it ok to combine Svastha Super Greens with Chyawanprash? Hi Nafisa! Thank you for your question. I would recommend to take them separate if possible, only because they both contain a large amount of herbs. Taking them together can overload the digestion, and they will not be absorbed as well as taking them at different times. I would recommend taking them at least 3-4 hours apart from each other. Thanks again!